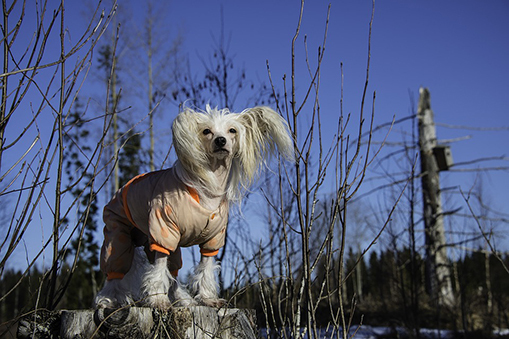 Although dressing dogs up is already quite common and normal, many have seen their dogs shivering in the cold weather, but they still refuse to dress them up to avoid looking weird. 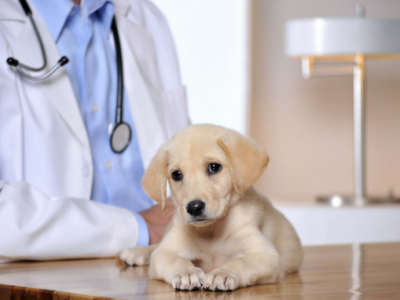 However, that shouldn’t worry you, because what’s most important is your dog’s health. 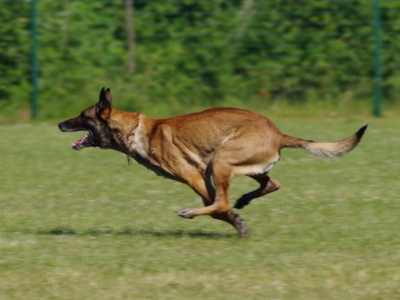 What you should definitely take into consideration is how dense your pet’s fur is. Double coated dogs may not feel cold, but short-haired dogs surely will. Just imagine how you would feel if you went outside without any clothes, and be sure your pet feels the same. A sweater or a coat can be extremely helpful during colder periods, especially if your pet doesn’t want to leave the house and go out into the snow to relieve itself. The amount of warmth your dog can generate on its own depends on the breed, size, and age, but if the dog doesn’t have enough fur, it will definitely curl up sometimes to retain warmth. 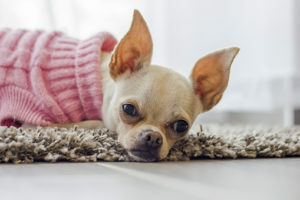 Smaller, lighter breeds, such as the Chihuahua, the Dachshund or the Miniature Pinscher, often have shorter hair so they need a sweater or a coat when they go outside. Of course, not having enough hair isn’t the only prerequisite for clothes. 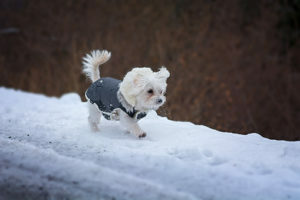 Dogs that are groomed to have short hair, such as the Poodle, must be protected in lower temperatures, as well as older dogs with weakened immune systems. However, double coated breeds, such as the Husky, the German Shepherd, or the Yugoslavian Shepherd Dog, don’t need extra clothes, as there’s a chance of overheating, and they can also feel uncomfortable wearing clothes with all the fur they already have. Either way, if you do decide to get a sweater or a coat for your dog, you should know which material is the most suitable. Although wool is quite warm, it requires frequent washing and can cause itching. You must also measure the length of your dog from neck to tail, so that you know which clothes fit best. You wouldn’t want the clothes dragging across the floor, or, even worse, being tight and making it difficult for the dog to move or breathe. Previous article How to choose the right doghouse? 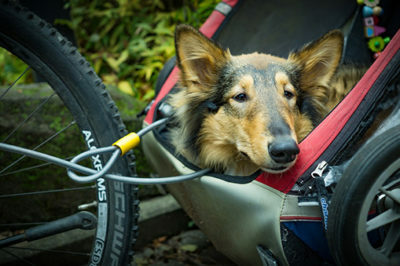 Next article Dog shoes – a necessity or an owner’s fad?